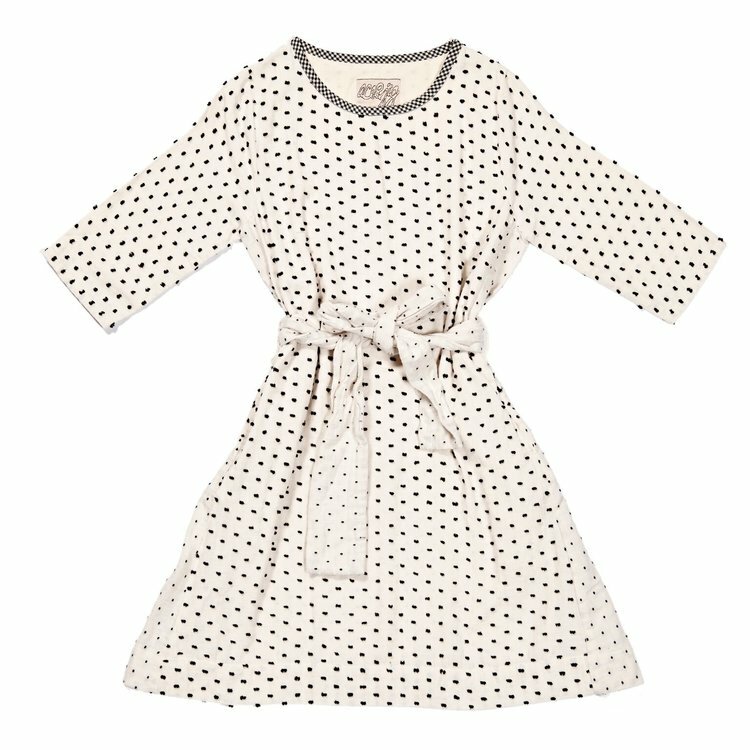 The Ace & Jig Margot Dress in Pearl just arrived at Slate, and I don't think I've seen this combo anywhere else! Thoughts in the full article. 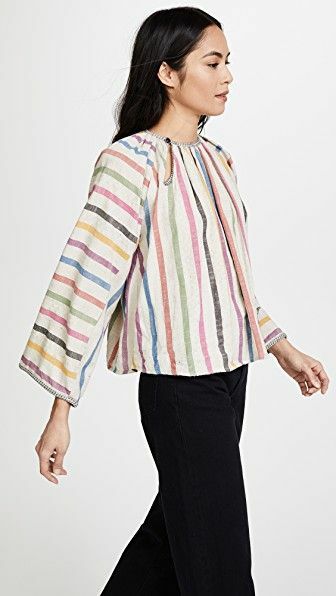 The Ace & Jig Margot Dress seems like a cross between a shorter Margaret Dress from Ace & Jig FW16 with a top that looks similar to an Eden dress from earlier seasons. I'd be very curious to try a Margot Dress at some point, as the contrast side panels and belt make for fun details. I have experienced Pearl in both the Archive Kimono and the Shopbop Exclusive Joni Mini dress, and found it to have a soft, smooth, twilly feel, with a fun texture in the tufts. It is a bit sheer, being white, but not so much that you'd need to wear a slip. Seems like it would be a great cross-season fabric! Sizes S-L available. Find it here.